How much does a house cost in Bearwood? If you’re thinking of buying a home in Bearwood but not sure how much it will cost, then you’ve come to the right place. How much will buying a property in Bearwood set you back by? Through our property selling services offered in Bearwood and the segments of the property market in which we operate, Love Your Postcode has earned a good reputation on the local market, becoming one of local leading estate agents. Bearwood is the southern part of Smethwick, Sandwell, West Midlands, England, and north of the A456 Hagley Road. Bearwood Hill was the original name of the High Street from Smethwick Council House to Windmill Lane. The border at the Shireland Brook where Portland Road (Edgbaston) becomes Shireland Road (Sandwell) is signed “Bearwood”. Bearwood, like many areas of the West Midlands conurbation, has a local sense of place, although it has become absorbed into Smethwick. Bearwood has a large high street with all the amenities you would expect in a suburb plus some surprises including a garden centre, antique shops and tea shops which host 1950’s candlelight evenings. The area has a diverse community as seen through the range of local restaurants serving a wide range of cuisines including Indian, Greek and Austrian. What’s the average house price in Bearwood? The majority of sales in Bearwood during the last year were terraced properties, selling for an average price of £175,147. Semi-detached properties sold for an average of £213,435, with flats fetching £61,845. Bearwood, with an overall average price of £186,966, was more expensive than nearby Smethwick (£155,032), but was cheaper than Quinton (£258,077) and Harborne (£278,266). Overall sold prices in Bearwood over the last year were 8% up on the previous year and 20% up on the 2007 level of £156,050, says property portal Rightmove. The average price for property on Bearwood Road stood at £181,415 in May 2018. This is a rise of 1.41% in the last three months (since February 2018) and rise of 5.18% since 12 months ago. In terms of property types, flats in Bearwood Road sold for an average of £120,003 and terraced houses for £177,201. This is according to the current Zoopla estimates.  Love Your Postcode Group has become one of Bearwood’s top estate & lettings agents because of how our group pays attention to each client. With us, you’re guaranteed a trusted partner that employs skilled and experienced staff that anticipates your every need.